Purpose: To play music videos (no, really it was). 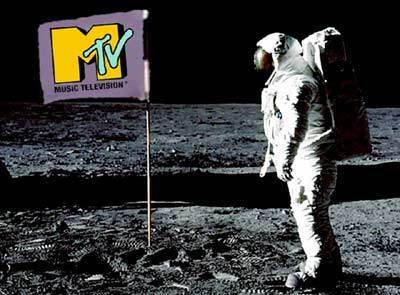 With the words, “Ladies and gentlemen, rock and roll”, a crunchy guitar riff and footage of the Apollo 11 moon landing (with the US flag replaced by an MTV flag, of course), MTV was born. Even though only a few thousand people from a single cable channel system in New Jersey saw the initial transmissions, a revolution was started. The format when MTV began was modeled after a Top 40 radio station. But instead of DJs (disc jockeys), MTV had VJs (video jockeys). The original five eventually became superstar celebrities and were, collectively, the face of the station. Most of the early videos were very crude and usually consisted of either promotional footage or concert footage of the band. But that didn’t matter. Now you could SEE the music as well as HEAR the music. Rock, Alternative and New Wave were the flavour of the day. A lot of the bands that made this kind of music and, indeed, some of the biggest bands of the 1980s can attribute their success directly to the amount of airplay they received on MTV in the early part of the decade. But when the president of CBS Records complained about the lack of black artists being played, especially his heavy hitter Michael Jackson, things began to change. ‘Billie Jean’ was the first video by a black artist to be shown and by the end of 1983, when the 14 minute epic ‘Thriller’ was released the entire format was changed from Rock to Pop and R&B. For the next five years MTV ruled the airwaves. Everyone had it. Everyone wanted more. And everyone talked about the bands being played. It was a great time to be a kid in the ‘know’ and a music fan. In 1984 the MTV Video Music Awards started. 1986 saw the introduction of the Alternative show ‘120 Minutes’. ‘Headbangers Ball’ started in 1987 and ‘Yo! MTV Raps’ in 1988. The early 1990s saw the beginning of other shows such as, ‘MTV News’, ‘Club MTV’, ‘Remote Control’, ‘MTV Unplugged’ and ‘Liquid Television’. Unfortunately, all of these conventional shows, as good as they were, began to take away from the time that videos could be shown. And the demise of the station began. By the mid-1990s nearly all of the programming was non-music or reality based. MTV still carries on today but now they have had to start several other channels (MTV2, MTV Tr3s, MTV Hits, MTV Jams and mtvU) in order to show any music at all. But fear not! I am going to take you all the way back to the beginning. This mix includes some of the songs that were played on MTV on 01 August 1981. I must admit a few tears were shed in compiling and mixing this set and lots of memories came flooding back. I hope that you enjoy listening to it as much as I did creating it. Shout at the top of your lungs ‘I want my MTV!’ to hear the mix.